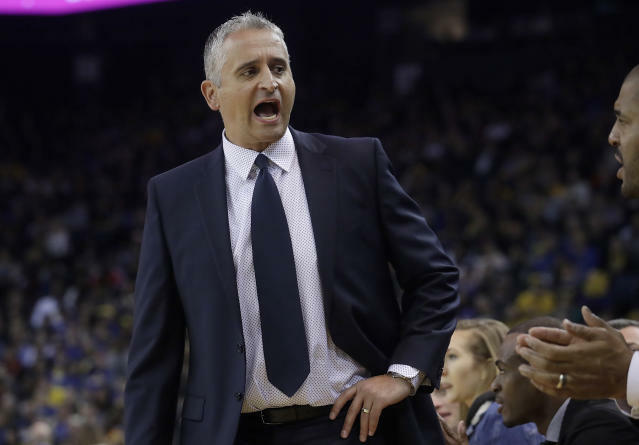 OAKLAND, Calif. (AP) — Golden State's topsy-turvy, three-peat quest took another ugly turn. 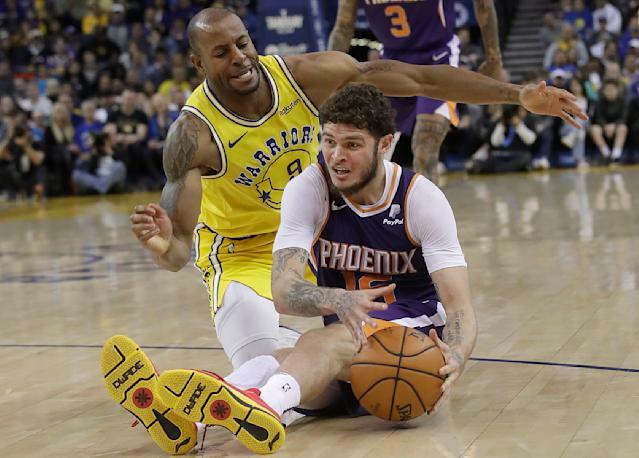 The Suns defeated Golden State for the first time since a 107-95 victory on Nov. 9, 2014, and earned their first road win in 20 tries against the Western Conference this season. The Warriors followed a great win against Denver two nights earlier with a dud. "Let's not forget last year was way worse than this, way worse than this, with injuries and things like that. We have pretty much everybody healthy," Stephen Curry said. "We talked about the things we need to get better at going into the playoffs and just haven't done it. It's an uncomfortable feeling, which I think we like right now. "We're getting challenged, we're getting teams' best shots." Klay Thompson's two free throws with 1:04 to go made it 111-108. 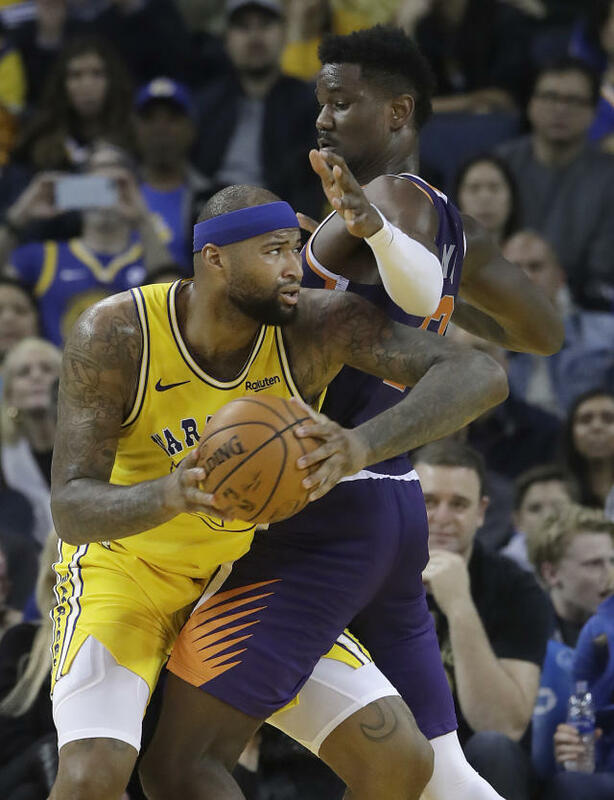 Andre Iguodala secured a rebound after two missed Suns shots but Curry missed on a 3 with 23 seconds left. Booker then converted two free throws. Booker's jumper with 5:01 to play put the Suns ahead, then he made it 102-98 on a 3-pointer at 4:45. Booker hit a fadeaway at the 4:04 mark then scored on a driving one-handed dunk after Phoenix pushed in transition after Curry's turnover. 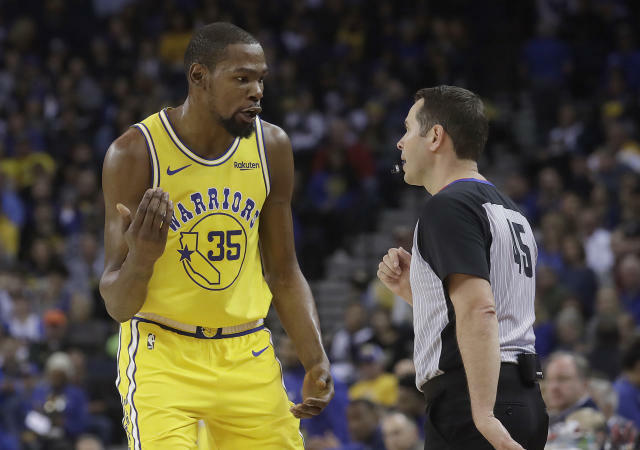 Kevin Durant had 25 points before leaving with a bruised right ankle midway through the fourth on a night his teammates struggled from near and far. 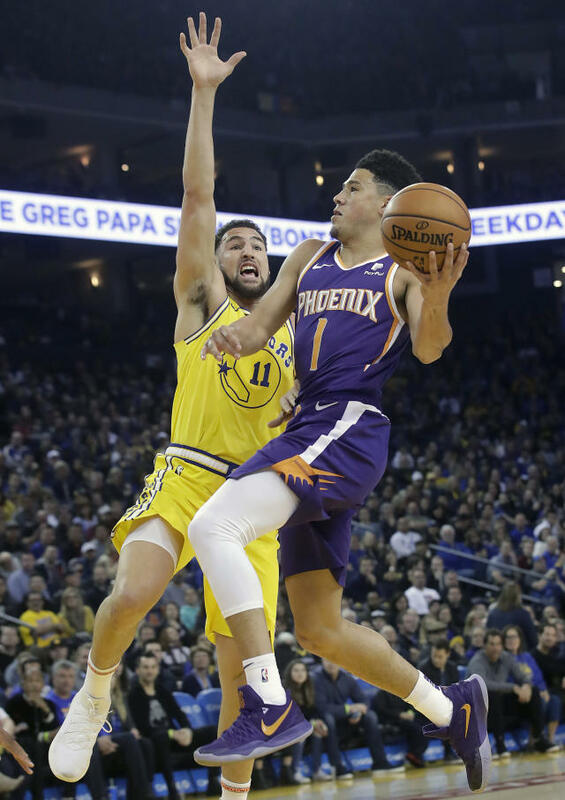 The cold-shooting Warriors couldn't overcome Booker's late onslaught in losing to lowly Phoenix. 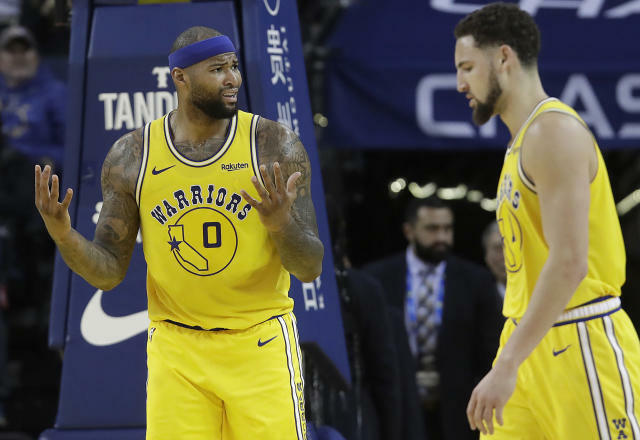 "Probably the worst loss of the season, unfortunately," Thompson said. 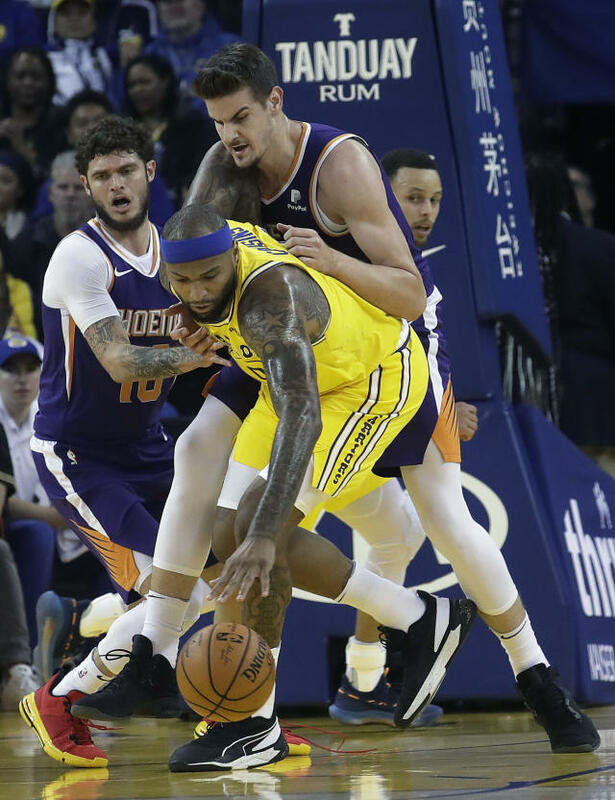 Booker was 13 for 23, made all nine of his free throws and also dished out 11 assists for the Suns in a back-to-back and their fourth win in five games. Splash Brothers Curry and Thompson were a combined 16 of 42 — 8 of 30 on 3s after a 4-for-22 start — and the Warriors went 10 of 43 from beyond the arc. "One game, you miss shots," Curry said. "We took ones we thought we could make. If they go down this could be a totally different conversation. So don't overreact to that." Curry started 0 for 5 and missed his initial four 3-point tries before connecting from deep 4:35 before halftime and finished with 18 points on 6-of-20 shooting. 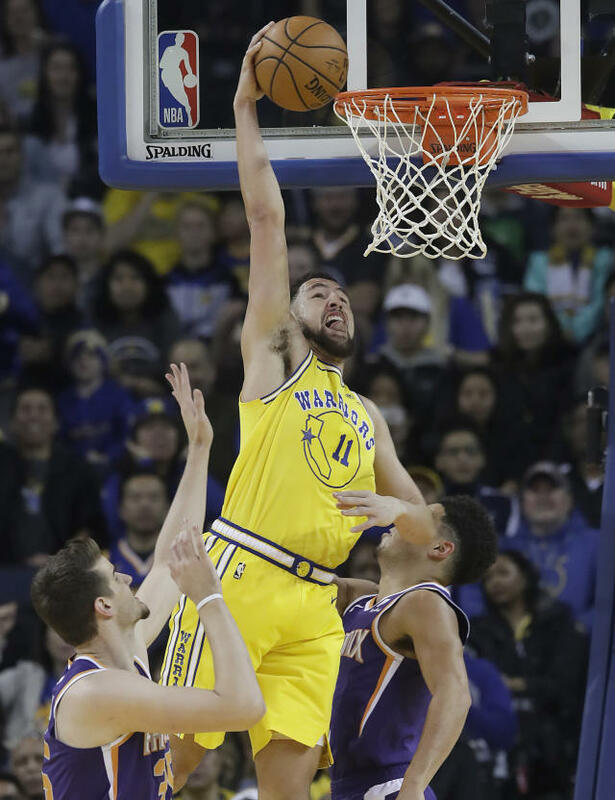 Thompson made his first four shots and appeared poised for another shooting gem to follow up his 39-point, nine 3-pointer performance in Friday's 122-105 win against Denver. He still scored 28 points, going 10 of 22. 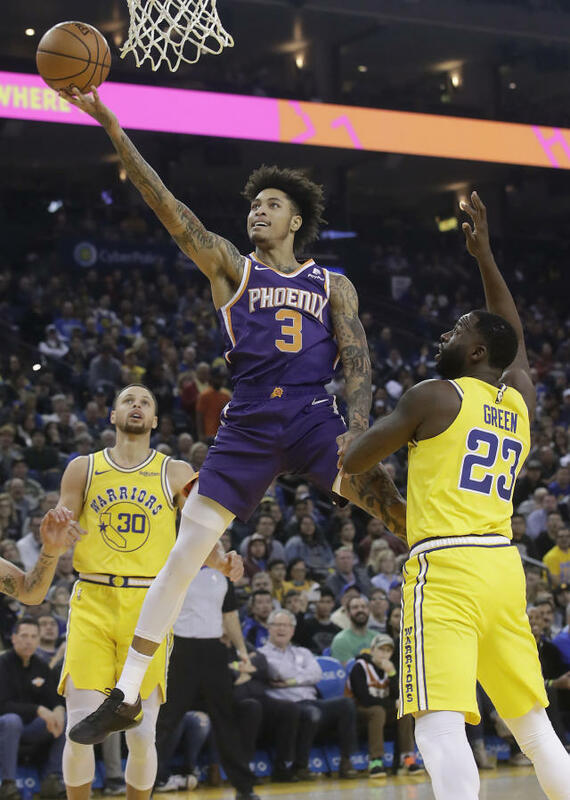 Kelly Oubre Jr. added 22 points with four 3s for the Suns, who won at Oracle Arena for the first time since 2011 in what was their final visit there. 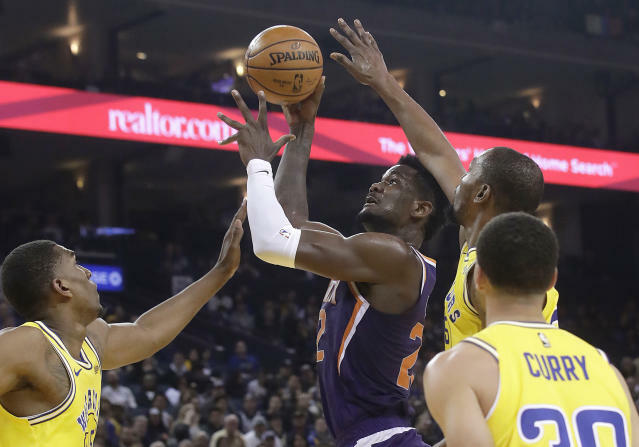 Phoenix coach Igor Kokoskov knew limiting turnovers would be a key to the Suns staying in the game. They committed just eight but had a three-game winning streak snapped Saturday at Portland. Booker had six Sunday and Oubre five of the Suns' 14. The Suns played only 21 hours, 30 minutes later with the Daylight Saving Time change. "It shows a lot about us. After All-Star break, most people could fold and it's happened in the past years here," Booker said. "We came in after All-Star break as a team and it was like we're going to finish this thing off the right way. We've improved in so many different ways." 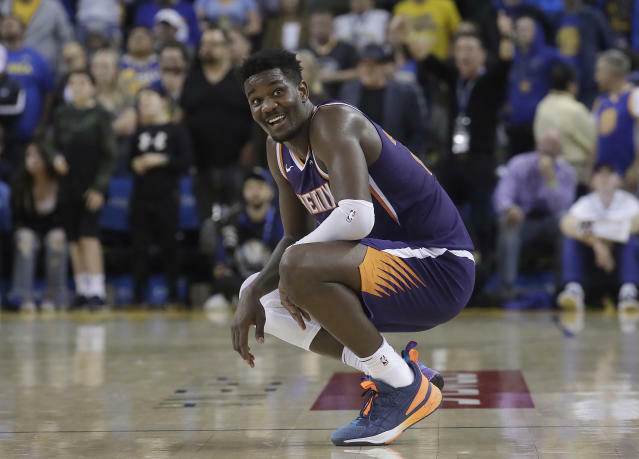 The Warriors jumped to a 12-3 lead, getting a pair of quick 3s and a baseline drive and dunk from Thompson before a Phoenix timeout at the 7:56 mark. But Golden State's lead was just 57-56 at halftime. Suns: Booker received a technical with 1:27 left in the third out of frustration on a no-call. 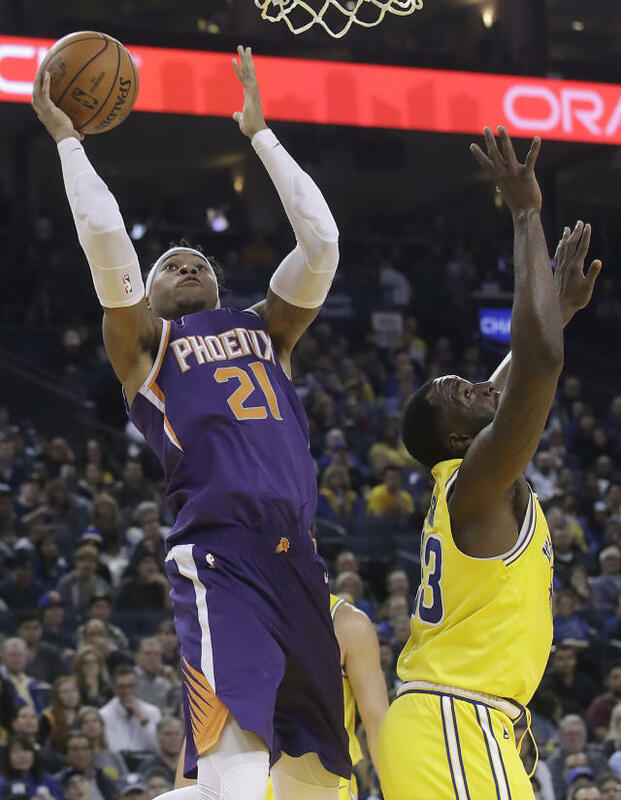 ... F T.J. Warren missed his 19th consecutive game with right ankle soreness. ... Phoenix is 6-29 on the road overall. Warriors: Draymond Green contributed 11 rebounds and eight assists. ... Thompson played his 600th career regular-season game — the 11th player in Warriors history to do so. His 102 postseason games are most ever for any Golden State player. ... Thompson had six of his team's 16 turnovers. On Monday, the Warriors will announce their plans for continuing to utilize the current practice facility in downtown Oakland at team headquarters after the franchise moves its operation across the bay to San Francisco before next season. Part of it will include expanded opportunities and activities for youth basketball camps and further community outreach. Suns: Host Jazz on Wednesday night. Warriors: At Houston on Wednesday night.